The Westport Insurance Corporation offers professional coverage as well as casualty and property insurance. Founded in 1924 and based in Kansas, it was known as the Puritan Insurance Company until 1992, when it became the Westport Insurance Company. 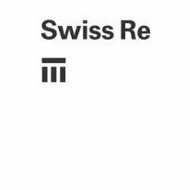 It is now a subsidiary of the giant international Swiss Reinsurance Company. This review will be of the Westport Insurance Advisors Company, located in Twin Falls, Indiana offers expertise in the field of health insurance and wants to help you through the many challenges of finding the right coverage for you and your family. The company functions as a broker; partnering with more than 75 insurance companies. It can guide you toward the insurance plans that will make sense for your specific needs. Each individual or family deserves a health insurance plan tailored to its particular needs, and Westport Insurance Advisors will work toward that end. These plans will keep you covered when you are between jobs, out of school, or in any kind of transition period, that has left you without health insurance benefits. With three insurance partners, Westport Insurance Advisors can help you find a standalone dental plan that will make dental health a priority you can afford. All the benefits from these insurance policies go directly to you. The funds made available can go towards your out-of-pocket expenses or can make up for loss of income resulting from serious illnesses. In addition, with the purchase of a Return of Premium Rider, all the premiums you paid will be returned to you every 20 years, minus the claims you might have incurred during that time. With the stress of managing all the medical issues of a serious, life threatening illness often comes the added burden of financial worries. Close to 65% of the costs associated with cancer treatment are non-medical. This insurance is designed to help cover copayments, deductibles, and daily expenses outside of your medical bills. It will provide cash benefits for health-related expenses outside of your major medical insurance coverage. It can include transportation, lodging expenses, and incidental expenses. Your major medical plan will take care of medical costs and your sick leave benefits will often cover your lost wages, but this insurance plan will help with all the out-of-pocket expenses associated with an accidental injury. Because injuries can happen outside the workplace, you might not receive the coverage offered through a worker’s compensation plan. This is another reason why you might want to consider insurance such as this. It is a statistical fact that 1 out of 3 people over the age of 65 will require some long-term care. While advances in the medical field keep us living longer, the need for home care assistance and assisted living grows. Health insurance covers the medical treatment you will need but does not offer any coverage for the professional help needed in daily activities assistance. With people wanting to enjoy living in their own home as long as possible, the cost of maintaining one’s independence can have a huge financial impact on the whole family. In addition, quality assisted living facilities can be out of reach for many families. In Idaho, assisted living costs almost $4,000 a month. A long-term care policy can provide the funds you need and give you peace of mind. Also, some states have specific tax benefits for people with such a policy. If you are 65 or soon approaching retirement age, you know how overwhelming choosing a Medicare plan can be. Westport Insurance Advisors has insurance experts who will provide guidance in navigating all the pages of often extremely confusing information, the deadlines, and all the rules that are put in front of you. Their mission is to find the Medicare plan that fits your unique needs.